We provide consultancy to ensure your form is created to capture accurate data that fits neatly into your CRM. Unlike out of the box form builders, we can attach intelligent functionality behind the scenes to add codes to data collected, concatenate fields before they go to your CRM and more. 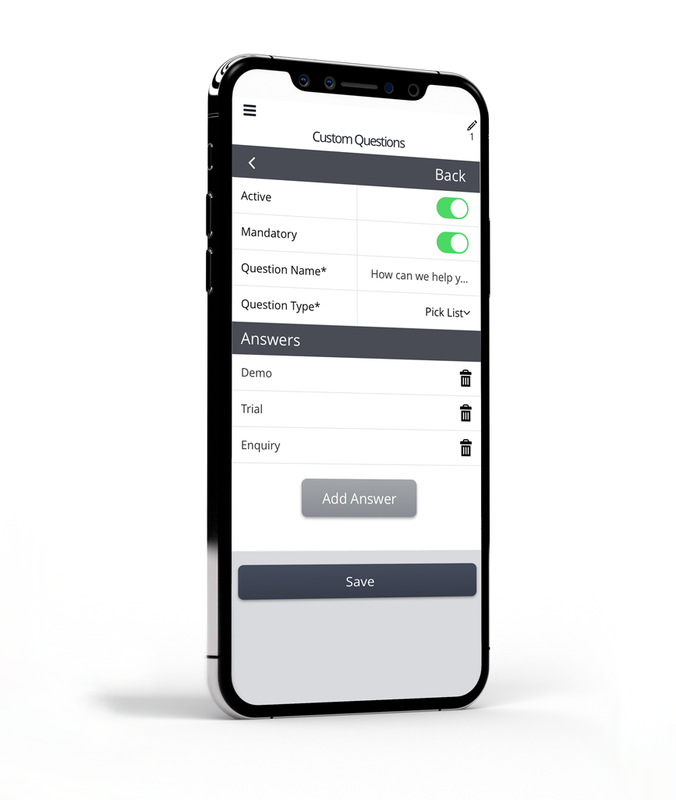 Create multiple forms all in one app and switch between them as needed. We provide consultancy with all of our forms and will never create anything that doesn’t comply with GDPR. Enrich your guest list data with information and push back to your CRM. Look up more detail about your customers from your CRM to have better sales conversations. With mobile data collection, you can trust that your data will be delivered quickly without having to be transcribed. In-built data validation ensures the highest levels of accuracy possible when customers are inputting key data like email address, home address and telephone number. Brand your data capture forms with your logo and colours to provide your customers will a fully branded experience. Real-time delivery, look-up and scheduled batch data integrations between your systems and Gather. From capture to analysis your customer data is enriched with integrations. Gather has allowed us to improve our event sales process, improve the quality of our lead conversion and provide the sales insight we need at dealer level. See how we can help save time and drive results for your brand. Contact us for more information on new ways to apply data capture and services in your business.